If old clients do not talk about it, who will? Instead of focusing on the problems of ONE individual (huge as they may be), we were looking for a “system wide” solution; an approach which could help the entire community of people who stammer – in 2006: This is the characteristic approach of Social / Community Medicine. 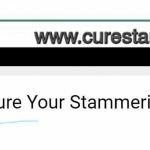 Listening to many IPWS, we became aware that stammering was a social issue, which was medicalized (and “problematized”) by health care industry. In remote villages, stammering and many other disabilities (or diversity) are accepted as a matter of fact, in day to day life. Why? Because “the expert” has not arrived on the scene, yet. Modern medicine has often rightly been criticized for chopping the elephant in to pieces, in order to study it, understand it. Also, it has narrowed down into super-specialized fields, forgetting about the broader context and the role of environment. No wonder that therapists have kept on trying to fix the stammerer despite relapses, rather than address her/his context, or environment. It is the society which needs “therapy” in our humble opinion! Stammering should be seen as a diversity. Not a disorder. Otherwise scams will continue as of now (see the pictures on the left and this too: scam and adverts). So the answer had to be found in SOCIAL settings – not in CLINICAL settings. We have closely observed many stammerers, in a large gathering – like our conferences; They are stammering, they are using no technique and STILL they are so HAPPY and seem so fulfilled! In fact, they appear to be someone totally different! What has changed? They just met a group, which accepted them as they ARE, not as they would be after one year, using this or that technique, gadget or “course”. This alchemy works only in a group of people who share deep life experiences and are walking on the same journey. Of course, power of group therapy has been well known (link). But group therapy usually is led by a therapist. We did not wish to follow that path. Because “therapy” and all its under pinning, only strengthens the popular notion: something is wrong with you which only “expert” can fix. We were fed up of that line! Turning to the wisdom of this land, we discovered that we suffer whenever we under-estimate ourselves. Ocean is in the drop. Wholeness and healing is inside us – not outside in some test-tube, petri dish or “technique”. The acceptance of who we are at THIS moment, awareness of the power within – all this and more, can unfold in RIGHT atmosphere, at the right moment. You can water a plant, but flowering happens only when it is ready. Till then, it needs nurture, caring and empathy. This is what our self help groups are meant to be. It is all about innate courage and taking responsibility for our own development. This naturally happens when you have suffered enough. Relying on ourselves and on our groups is not easy and flies in the face of worldly wisdom. Some will shake their heads ominously and say: What? Blind leading the blind? But the group dynamics, under good facilitation can transform the “speaking” experience for a pws. It has been said that science is crystallized common-sense. This applies to speech science too. All techniques and tools have emerged by observing stammering. So, all the tool that we promote in TISA intend to do that: if I am going to repeat a word in a stammering spell, let me do it with more consciousness and control, ie. I will bounce couple of times with good eye contact. 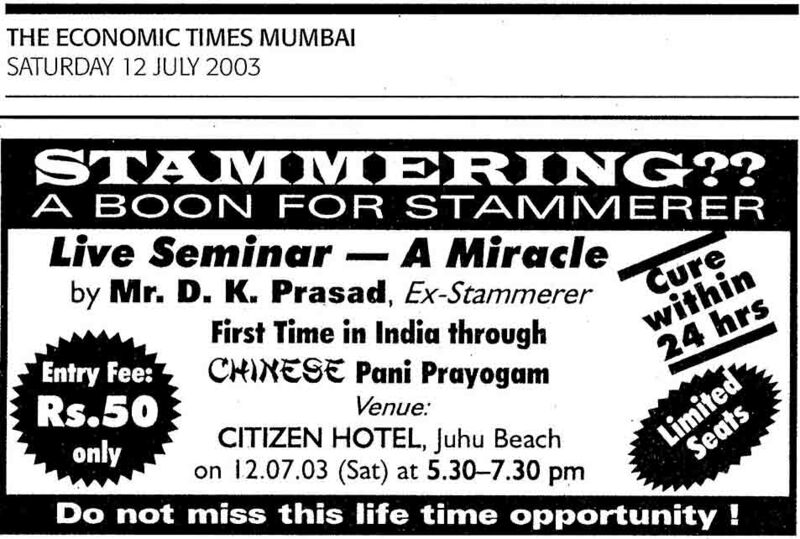 If nothing works and I am going to stammer- let me do it happily & consciously (=Voluntary stammering). To this extent, we talk about tools or techniques. But always with a focus on the job to be done: communicating something. That something is more important than techniques or fluency. We also totally accepts someone who may not want to use any tool or technique. He or she may communicate through SILENCE, mime or text. It is their RIGHT. (See this and heading “6. 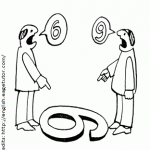 Communication” in this post to understand why focus on communication can be so important). 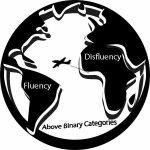 Dr Cristóbal Loriente made a ground breaking contribution by giving a new conceptual framework to view our problems: Transfluency (ISAD paper, JSTAR paper). Stammering is a different way of talking which transcends notions of Fluency and Disfluency – hence TRANS fluency. These limiting notions have been promoted by a socio-cultural norm, and a medical profession which could think of speech only in dichotomous terms: Fluent or Disfleunt. He makes this claim based on two main observations: If stammering was really a medical disorder, speech therapy would have had BETTER success at treating it. Secondly: in last two centuries, with the rise of “Modern” medicine, many harmless / natural conditions were medicalised – like left handedness, sexual orientation etc. Essentially he is saying: Stop treating it; Think of it as a diversity; Accept people who stammer; let them also accept themselves and be OK – in a self help group. At the end of the day, what matters is: did the listener understand? or not? THAT is an equal and mutual responsibility. Listener too should pay attention and ask questions. Speaker too, should focus on communication rather than worry about fluency. The communication is a two-way street and both parties are EQUALLY responsible for it’s success- not the stammerer alone. Communication is both the path and the destination of our day to day discourse. This is why, we emphasize listening, eye contact, smile and a lot of other skills instead of “how to talk better?”. Communication is not exchange of words- but of meanings. That requires trust, asking for feedback, willingness to listen and understand each other’s point of view. Finally, fools argue, wise men discuss – ie. COMMUNICATE! So, if we want to move ahead, stammering has to be placed in a social context and seen in a functional (not aesthetics) framework. Primary purpose of speech is not to please others – but to get some job done. This is the arena of social sciences and psychology: groups, role plays, whatsapp, get-together, coaching, journal writing, Google hangout, taking out a rally, going to schools, spreading awareness etc. are going to be our tools of choice. All this can change the victim mindset: I am a victim of circumstances beyond my control. I must wait for someone to rescue me. Instead, we can connect with others, make a bonfire of our crutches and dance around it! This is what we do through free communication workshops, get togethers, online coaching and peer counseling etc. Nothing is free in the truest sense. People attending TISA events or workshops, spend lot of their time and resources. Registration fee often covers their board and lodge. Accounts are shared on line. No one in TISA gets paid or becomes rich! All of us are volunteers. We do respect and value money but also feel that offering selfless friendship to another human being is the best gift one can give to another – and is probably our strongest feature. Why put a monetary value on this GIFT? Also, in this land, the highest knowledge – Self-realization, Yoga – was always given freely. In present times too, there are modern saints who are happily offering their GIFT for free under open source movement. 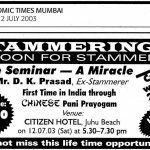 In any case, self-help for stammering does not involve open heart surgery or Chemotherapy for six month! The way TISA does it, it is very simple: like a little fine tuning of a robust engine! So, why not free? Read more on this theme of how TISA’s work and approach is different from others: ISAD paper on Indian self-help experience.